Tom Paik of Chase, BC, passed away on September 18, 2015 in Royal Inland Hospital, Kamloops, BC, after a lengthy illness. He was 74 years of age. Born on September 12, 1941 in JunJu South Korea, Tom leaves behind his loving wife Suk Soon “Lyn” Paik of Chase, BC, daughter Cindy Paik of South Korea, daughter Julie (husband Chelee) Paik of South Korea and son Sang Hoon “Sam” (wife Sophia) Paik of Calgary, AB. Tom was a business man and dedicated great time and effort to his textile business. He loved to golf at the Chase Sunshore Golf Club. He was a wonderful husband, father, grandfather and friend to many. He was a kind and gentle man of few words, but those words were always worth listening to. He will be dearly missed. 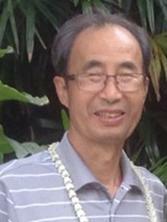 A Memorial Service for Seung Woo “Tom” Paik will take place at 9:00 a.m. on Saturday, September 26, 2015 at Kamloops Sa-Rang Church, 1565 Summit Drive. For information, please phone 250-679-3852.